Ibys Technologies will be able to help you to design, create or to move your technical room adapting, in the possible thing, your new design and / or environment to the needs of your company, improving the functionality of the new room. Movement and installation of technical furniture. In addition, Ibys provides services related to the monitoring of the rooms as: monitoring temperature in room, systems of supervision of batteries, development of software. Ibys has a wide equipment specialized in this type of facilities. Our staff will consider all possibilities and resources, designing a project to average adapting your room to the new technologies. 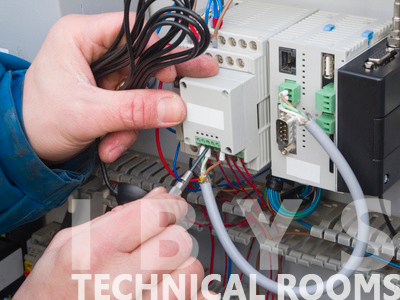 In Ibys Technologies, when approaching a project of designing a technical control room is based on ISO 11064-1, “Technical standards for the design of work systems”; but first of all, we consider the needs that our customers face, technical capabilities and economic viability of the project.